When I was in an accounting practice, one of my favorite moments was announcing the tax refund for the clients. They were happy and always shared with my ways to use their refund! Most of them used that money to pay for their summer vacation, some of them debts, others towards their mortgage and some towards health expenses! Everyone was anticipating how much tax refund they will get! With reason! With all the family tax breaks, a household could get between $1,000 and $3,000 refund! Of course those are rough estimates but most of the clients I did taxes for were getting those returns. This is quite a neat sum! How can someone use it wisely and optimize it? I think it’s a great idea to come up with some plans on how to use your tax refund wisely before the money hits your bank account. That way, you’re not tempted to spend it on items you don’t really need…or even want. Sometimes when we have extra money and no plan, we tend to go a little crazy with it! It is a good idea to use your tax refund to get rid of that annoying debt or your credit card loans. Some of these loans carry a higher interest rate and can reach astronomical sums if you are not careful. Home energy audits are a very good way to use your tax refund, I feel. You not only save on energy, but also money in the long run. The audit will show you as to where to add insulation and where to seal up leaks. If you still have no life insurance coverage for you or your family, it is time to take it seriously. Simply make good and sensible use of that tax refund to get term insurance and keep your family safe. Another good use of tax refund cash is to pay some extra amount for your mortgage. Placing a chunk of money toward the mortgage means making a good difference to our mortgage and getting rid of it sooner. Speak to a financial adviser and see how you can use your tax refund money to take care of your retirement and make you feel more secure in the golden years. Put the money away for your college education of your child. Every dollar counts during that stage as you take care of college bills and other expenses. Well, if you have most of the above points taken care of, there is no harm in enjoying that refund and prepay for a vacation. Stash your refund in a good holiday package and enjoy a great trip with your family. I hope the above ideas and tips on how to use your tax refund proves to be useful and informative. The aim is to bolster your personal balance sheet and make some good use of that refund. I’m horrible with my taxes, they always make me super anxious. Great tips. Always a good idea to invest for the future. Thanks for sharing. Tax time really gives me headache. This is really helpful. Tax saving is really a concern. And, especially during this part of the year, when it’s time to pay taxes. This is a most timely reminder, one that I hope all will heed! Thanks for sharing. I don’t get a tax refund anymore, but when I did, I saved every penny of it. I hope everyone gets to read this. Tax time seems to be the time when many persons lose their minds. The things that people do with that money sometimes makes me go huh? Use on savings or definitely for paying off a debt. It’s better to use it on something that will improve your financial status. Our tax refund is our vacation money! This year we are using it to go back to Disney! 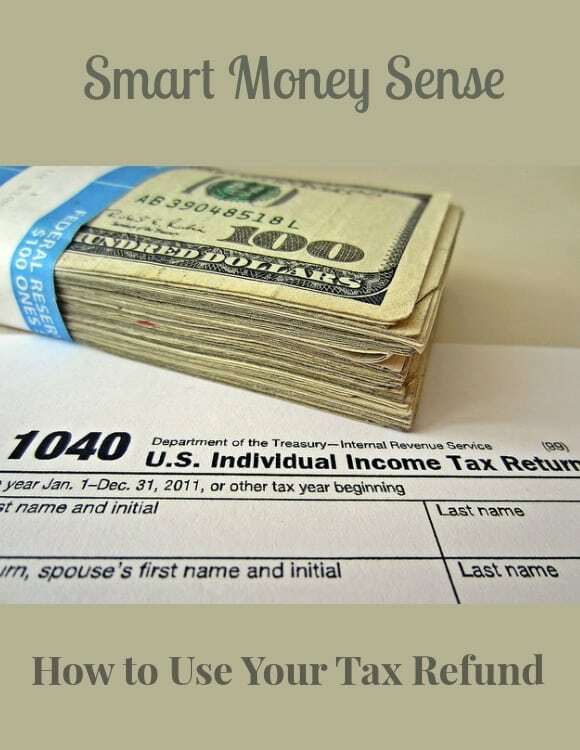 Fantastic tips, I don’t have taxes yet but I will keep this in mind! Our car was in an accident and totaled. So we might have to use our refund for a new car. Great tips. I will definitely keep them in mind. Great tips! I hope I actually get a refund this year in order to utilize some of these tips! I’m all for paying down the debt. I do have a hubby that doesn’t always agree, so we’ll see what happens. Those are great tips on how to use that tax return money. Allot of time we used it to buy pieces of furniture we would normally not be able to afford, investment pieces. Great list. I always put mine towards paying off my debt but I hope to work my way down to the last item of your list.